When a water related incident occurs in your home or commercial space, you can count on the water damage League City and mold removal League City pros with 911 Restoration of Houston to be there for you 24/7/365. Day or night, holiday or a regular day, our water damage League City and mold removal League City pros will be dispatched to arrive within 45 minutes of your call. Don’t let a small and potentially inexpensive repair turn into a hefty repair bill with the possibility of mold infestation. Act fast and call the experts as soon as you discover a water or mold related disaster. With top of the line equipment and a fully geared crew of technicians, you can expect affordable, reliable and immediate solutions from our water damage League City and mold removal League City pros. Regardless of how this situation happened for you, our team will be there for you in the blink of an eye. If the water or mold is inside of your commercial or residential property, our water damage League City experts will be able to provide on-site assistance. By being available all day every day, we don’t miss a beat. With same day service appointments available, we can treat the damage the very same day. When you decide to work with our team, you work with a group of trained and certified professionals. Upon arrival, the first thing our water damage League City and mold removal League City pros do is conduct a free visual inspection. By assessing all of the affected areas, the repair unit can prioritize the repair timeline and provide a detailed estimate so you know exactly what to expect during the remediation process. With the help of cutting edge equipment and state of the art machinery, our water damage League City and mold removal League City pros are able to efficiently repair all affected areas so you can be back in your home or office space as soon as possible. It is possible for water and mold to linger in areas that are not visible to the naked human eye. This is where technology works in our favor. Infrared cameras help to detect moisture spots in those hard to see areas such as wall cavities and underneath flooring. 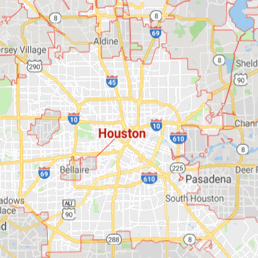 To get a Fresh Start after discovering a water related disaster, no need to fret, call the water damage League City and mold removal League city pros with 911 Restoration of Houston. Finding your prized possessions and property that you worked so hard for, under water, can be an overwhelming moment. Our water damage League City staff completely understands the state of panic you are in and will work with you until all of your concerns have been addressed and you have peace of mind. We will even help you file your water damage insurance claim so you don’t have to spend time chasing your insurance company rep for answers. Don’t wait and act fast, call the water damage League City and mold removal League City pros with 911 Restoration of Houston.